Over the coming months as our mahi on Tā Koha continues, we’ll be profiling some of the awesome entrepreneurs who are planning to use the platform to take their business to the next level. 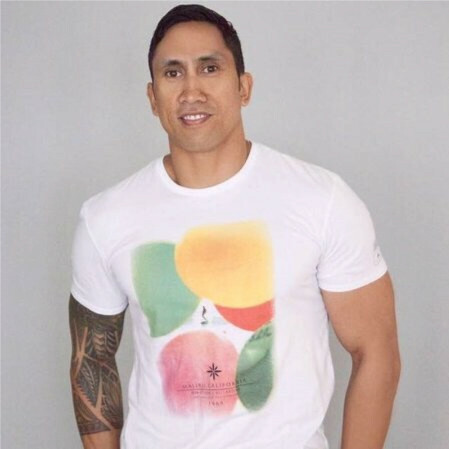 First up is Joe Harawira, the founder of Flo Clothing. The idea behind Flo came to Joe a few years ago, while he was clearing out his wardrobe. He looked at all the activewear he owned, and suddenly wondered why he wore all that stuff. What did buying those clothes actually do? As he puts it “nothing, other than line the pockets of the owners.” Joe decided there had to be a better way, and so he came up with the idea for Flo: a lifestyle fashion brand that helps kids in need. Now, Joe wants to take the business to the next level, including partnering with KidsCan. That’s why he’s looking to crowdfunding, and engaging his community in the process. He was one of the Māori entrepreneurs present at our Tā Koha hui in Hamilton a few months ago, and he describes it as “good in terms of being able to step out of the business to look at it and take more of a strategic approach.” As an entrepreneur, he says, “it’s easy to get caught up in the day-to-day grind”, and so having the chance to step back and think about simple questions like “who’s your crowd” was valuable. Stay tuned for Flo’s Tā Koha launch later this year – and for more profiles on our awesome entrepreneurs.